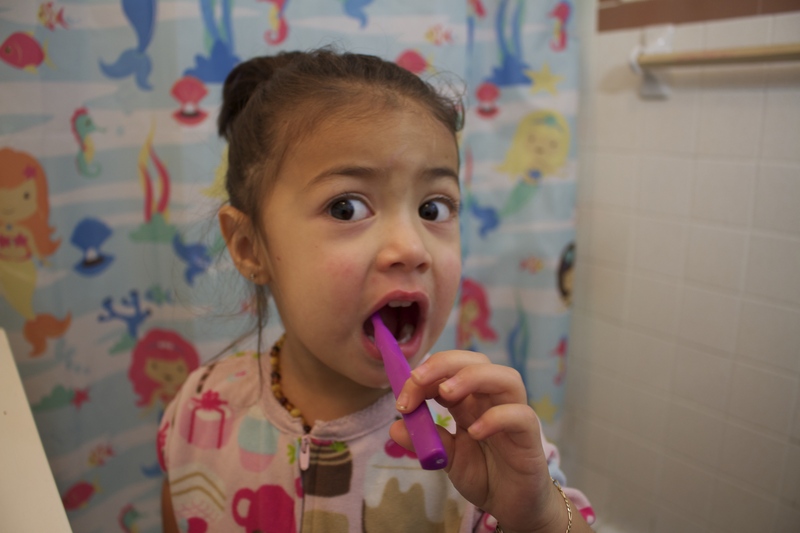 You are here: Home › Parenting › Kids Oral Care Routine & Baby Buddy Giveaway! Kids Oral Care Routine & Baby Buddy Giveaway! 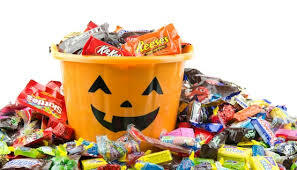 Halloween is over, and I am sure you have let your kids enjoy a couple of pieces of candy. As the Holidays approach I am sure they will have more goodies to follow. I wanted to share my Kids Oral Care Routine and what we do to keep their teeth cavity free and overall a healthy Oral Hygiene. In this video above I talk about how we have been maintaining their routine, and how Baby Buddy products have been super helpful with all the stages of my children’s life. 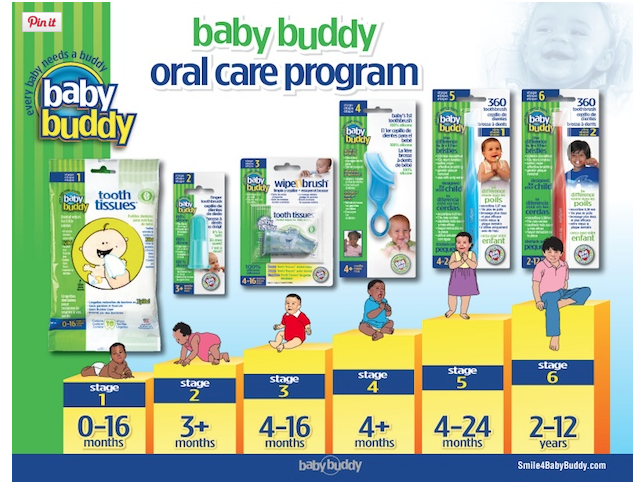 Here is the Baby Buddy Oral Care chart which is wonderful when choosing your child’s stage. Baby Buddy offers a variety of products from toothbrushes for pregnant mommies to stage 6 360 brushes for up to 12 years of age. 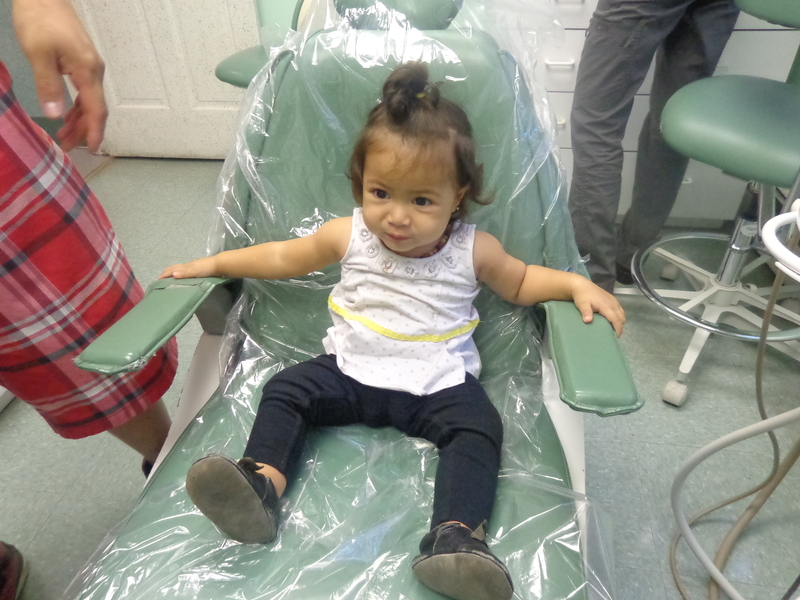 Oral Care for me starts right at birth after feeding I always cleaned their gums. Remember it is never to early to start an Oral Care Routine with your children. Both my girls got their first teeth around 6 months of age, as soon as the tooth was completely out we made our first dental appointment. To our family its important to make our kids comfortable and used to the idea of having to take care of their bodies. So we start at a very young age exposing them to whats to come later in life. Making a routine fun is easy, we play this Elmo Brush your teeth song everyday for the girls to keep them excited about brushing their teeth. Trust me your kids will love this song too! 5 Responses to "Kids Oral Care Routine & Baby Buddy Giveaway!" Great job ma! I think you’re doing a wonderful job in taking care of your girls teeth. I had the same issue with my son (i thought brushing his teeth was all he needed to do. But i was wrong, around 4 he got cavities. So flossing is very important as well.